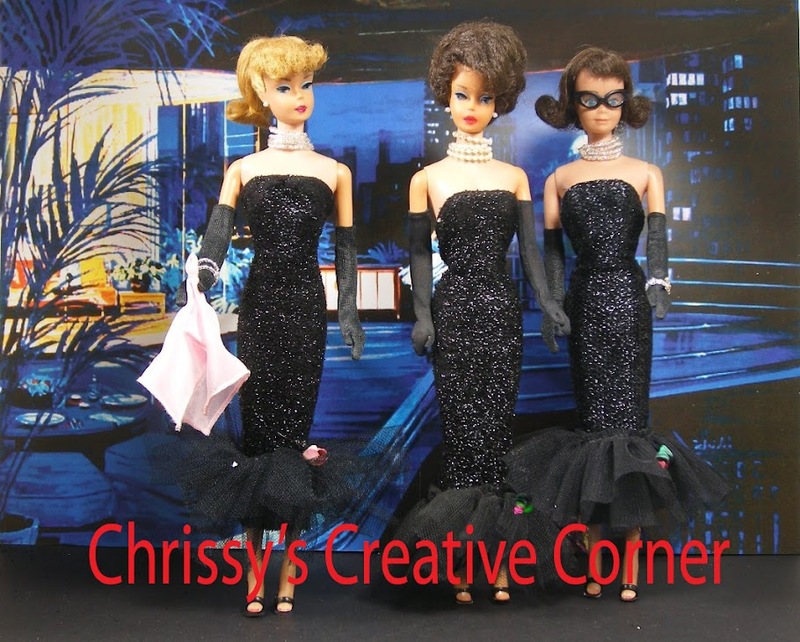 Chrissy's Creative Corner: Playing Barbie! Anyway....I played a little bit today with a couple of dolls. It felt good, and I hadn't done that in awhile. 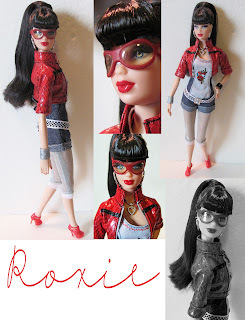 Today I'm sharing a couple of Basic Barbie dolls with the much loved Steffie face. I have to say, I love this face as much as everyone else. The lst doll I have named Camilla. I'm not sure why....except that name just came to me when I redressed her and made over her hair. I'll explain. At first I was sorry I had bought this blonde Steffie with the very curly hair. After I deboxed her, I thought....what a very dry frizzy looking mess. Then it came to me to try washing and conditioning her hair, and that dear friends....made all the difference in the world. Once I had rinsed out the conditioner, I just used my old afro pick(remember those?) and gently started shaping her hair. Then I just used my fingers and hands to shape and scrunch those curls. The result......LOVE HER! She is so much improved, and I can't stop looking at her. I hope you all like her as much as I do. Please leave a comment and let me know. The 2nd Steffie girl I'm sharing is a Target Red Basic doll with the same Steffie face, but with jet black hair in a ponytail. I decided she's a bit rock n' roll, so I redressed her accordingly. She is just gorgeous with her juicy red lips and midnight black hair, and I love her in this fashion. I named her Roxie, because it just seemed to fit her whole look and personality. The fashion she is wearing was originally a Fashion Fever ensemble that came on a Fashion Fever doll......I think. The doll was a blonde Barbie with that new face that no one really liked, so it disappeared. Anyway....I think she looks like she's ready to go to a very loud rock n' roll concert......or perform as the lead singer of a very popular band. LOL Once again.....I hope you like her. Let me know please. Happy Dolly Playin....and Happy Scrappin.